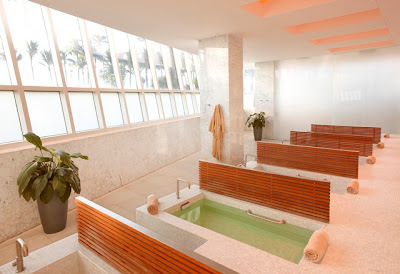 My Day at Lapis: The Spa at the Fontainebleau Miami Beach is part of Miami Spa Month! Sazoneros!! Did you know that before this week, I had never been to a spa to enjoy the relaxation one feels after a full body massage? It's true! After hearing about Miami Spa Month, I decided it was finally time to give it a try. If you follow me on Twitter, you'll know that I'm a huge fan of the Fontainebleau Miami Beach. The luxury and service level at this hotel is top tier in my book so when they invited me to unwind with a complimentary Swedish Rub Down and a Bath Soak...I couldn't resist!!! Well, I scheduled my first massage for 10 a.m. which is a great idea because then you'll have the opportunity to indulge in all of the amenities found at The Lapis Spa till 6:30 p.m. on the day of your visit. 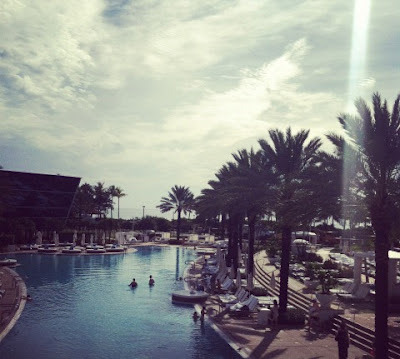 I also received access to the outdoor pool of the hotel for participating in Miami Spa Month so I definitely felt like a tourist for the day (I was in total relaxation mode)! Before I began my treatments, I was given a tour of the ground floor of the Lapis Spa (a two story beauty) which embraces the natural qualities of water to truly create a relaxing atmosphere. 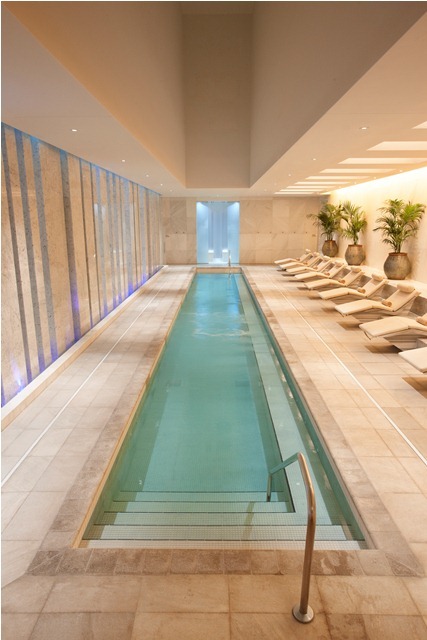 The spa features mineral-rich waters including mist, rain and steam that flow throughout the 40,000-square-foot spa. 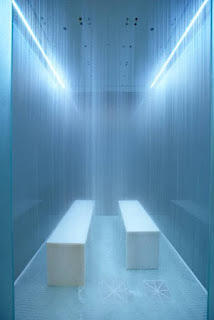 You can see one of these "rain" rooms on the right and let me tell you: they are very popular my friends! The rain is really as therapeutic as you may imagine. Oh, I forgot to mention that the spa also includes showers and an area where you can blow dry your hair and primp yourself back to "fabulousity" before heading out for the day...thank you Lapis! Above: A beautiful picture I took as I arrived at the Fontainebleau Miami Beach. If you love what you've read so far, then you should totally take advantage of this city-wide phenomenon called Miami Spa Month. All of the specials continue till August 31, 2012. You'll be happy to know that Lapis Spa is offering six signature treatments and one spa package for only $99 each (please note: the cost does not include tax and service charge). Lapis will also be extending a complimentary Lapis Soak or Manicure to guests that enjoy any of the Miami Spa Month treatments on a Tuesday, Wednesday or Thursday. In addition to the treatments you choose, remember that the spa will provide you with access to the amazing water therapies including the elements rain tunnel, the eucalyptus infusion steam room, the energy deluge shower, the bleau rain room (pictured above), and the mineral co-ed pool (pictured below). Guests can also enjoy access to the entire Fontainebleau poolscape and use of all resort amenities including private lockers, robes, slippers and toiletries, as well as complimentary refreshments. Throughout the summer, Spa patrons also receive discounted valet parking of $7. Above: Here's a great shot of the Women's Bath Soak room at Lapis. 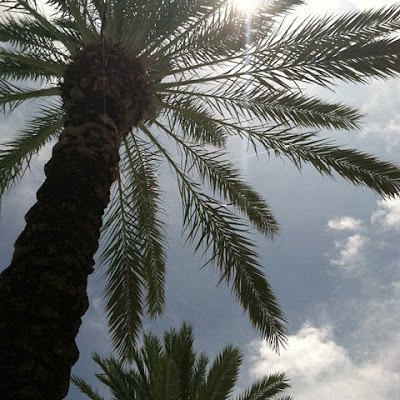 I absolutely loved my bath soak experience because you can literally relax while looking at the palm trees swaying back and forth through the windows. You also receive a handful of fruits and you can choose from a variety of hot teas to sip on while you soak. Pure HEAVEN! 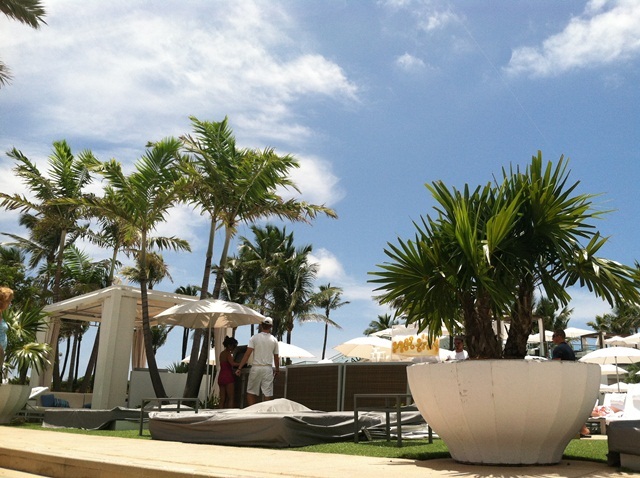 Above: In the afternoon, I ventured to the pool outside of the Fontainebleau. It was a beautiful sunny day and I ordered myself a Margarita and a steak wrap for lunch. Once again, I was able to relax and unwind. 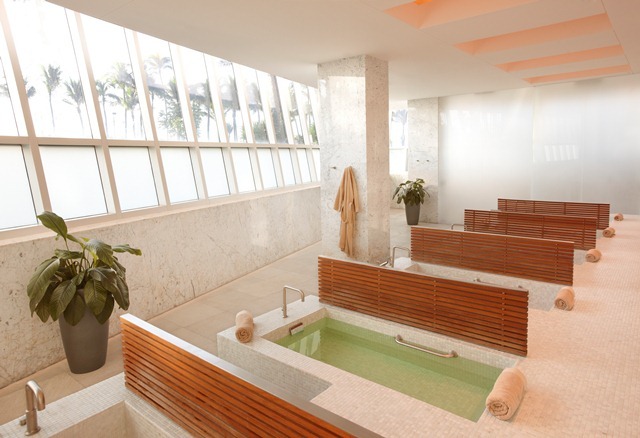 To reserve an appointment or inquire about treatments at Lapis, you may call 305-674-4772 or email LapisSpa@fontainebleau.com. Reservations are required. 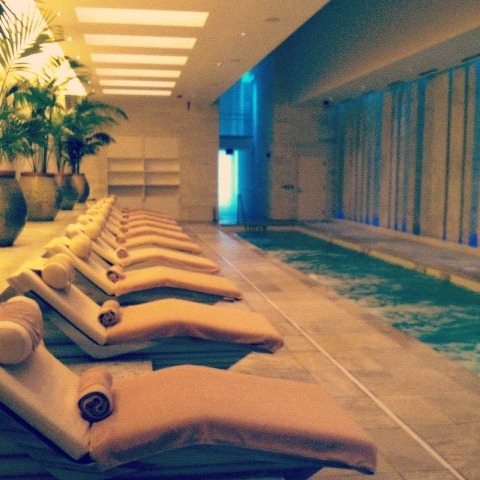 If you book a day at spa, make sure to leave me a comment below and share your experiences with me. Now that I'm totally feeling re-energized and I feel 5 years younger, bring on Mercedes-Benz Fashion Week Swim! WATCH OUT MIAMI!! !